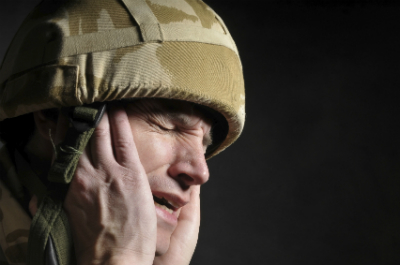 Post Traumatic Stress Disorder is a condition our military claims team sees in a substantial number of service personnel. Along with other mental health issues such as depression, anger management problems or alcohol dependency, PTSD often results from extraordinary and extreme situations and experiences. If you or a loved one has been affected by PTSD, please get in contact with us now for confidential advice about making a claim. We usually work on a no-win, no-fee basis. The symptoms of PTSD vary enormously from person to person. One individual might seem withdrawn, while another can become extremely angry or violent at the slightest provocation. Some people have frequent flashbacks, and others deny there is anything to remember. It can take many sufferers a long time to realise that they have been affected at all. Visit our symptoms page to see a list of problems that can indicate a person may have PTSD. When mental health problems are a result of enemy action, then carers or employers may well encourage a service man or woman to apply for compensation through the Armed Forces Compensation Scheme (AFCS). Even if PTSD was caused by some other service-related activity such as an accident at work or bullying, however, a claim can still be made to the AFCS. In addition, if there has been negligence or deliberate harm involved in the causes or treatment of the PTSD then, as well as making a claim for an AFCS award, you should consider a claim for negligence as well. Time limits apply to both types of claim, and both can be made during service. Failing to make a negligence claim until discharge can mean that the claim will be out of time. See our military claims page for more information about time limits. It is normal to be troubled by the experience of combat or working in a war zone. However, a person’s reaction to these events can be so intense and long-lasting that it becomes a health issue. Her Majesty’s forces have recognised this and have done a lot in recent years to encourage the chain of command to be alert to signs of PTSD. For example, they have instructed commanders to take note if a person is drinking more or has a series of disciplinary problems that are out of character. Unfortunately, our team still hears about unsympathetic, or simply unobservant, commanders telling sufferers to “have a pint and get over it”, instead of referring them to the medical centre for an assessment. We also hear about doctors or other health professionals who are less alert than they should be to the possibility that a patient may have PTSD and either do not consider it or fail to follow up treatment plans. A further, relatively common, situation is that Vulnerable Service Leavers procedures have not been followed. Those procedures require a service man or woman with PTSD or other serious mental health condition to be given a package of support after discharge, including housing, employment and social welfare support. There should also be a clear link-up with NHS service providers to prevent the service leaver being left without the right care. Failure here can result in family problems, homelessness and long-term unemployment. Contact our dedicated solicitors to discuss your claim further in complete confidence. Who will pay my legal fees?